The photograph exhibited was taken in 1956 with the 82-inch reflector at McDonald University in Texas. It shows sunset over the Sinus Iridum (Bay of Rainbows), in the Mare Imbrium (Sea of Rains). The Heraclides promontory that juts out at right center is the feature that Cassini saw as a moon maiden in 1679, and many subsequent observers have drawn the promontory with a face and flowing hair. 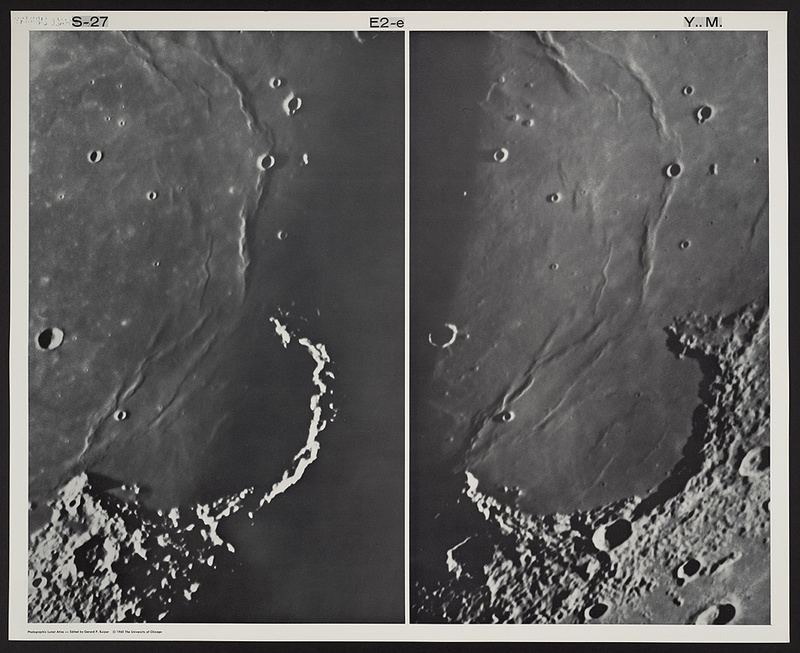 The McDonald photograph however reveals the existence of a second moon maiden at lower left, as the east wall of the crater Maupertuis captures the last rays of the setting sun.